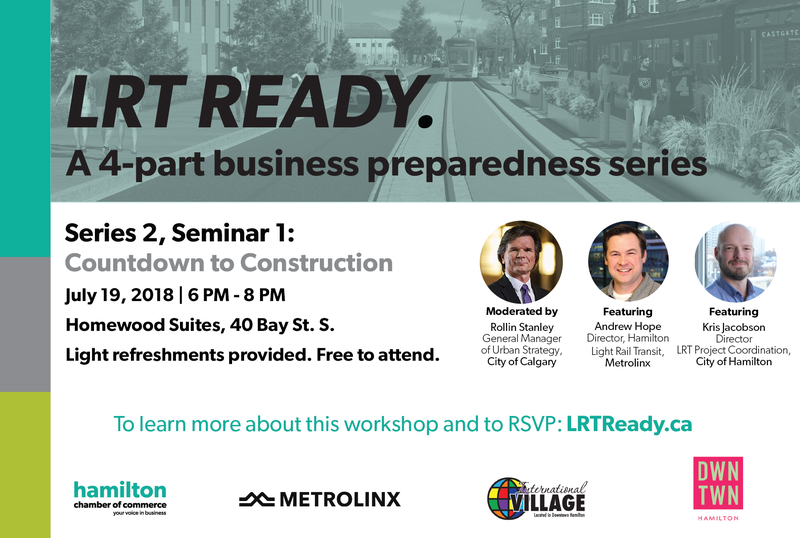 Stay tuned for more LRT Ready events in Spring 2019. Description: This session discussed the details of planned 2019 LRT construction, the role of the City, and the importance of marketing to mitigate any negative impacts. 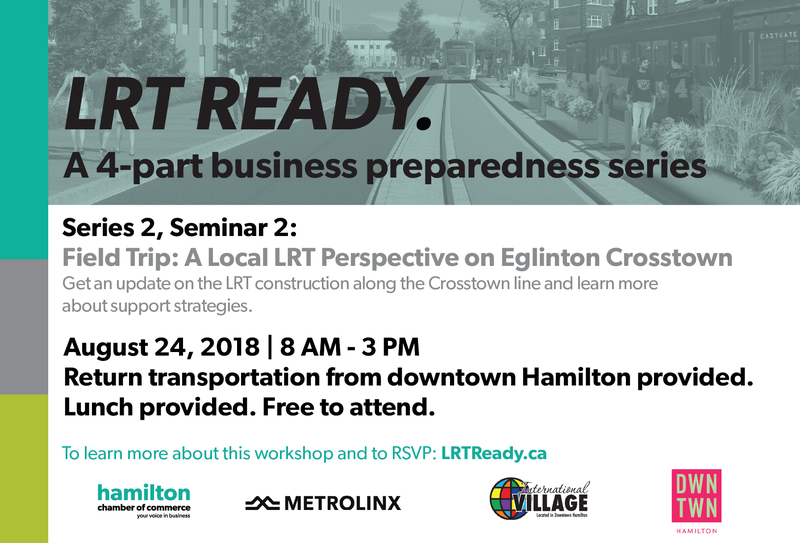 Description: In this session, Hamilton businesses took a field trip to Eglinton Crosstown/York to see its LRT construction underway. The session focused on best practices employed by local businesses, BIAs and the community during the construction phase. The field trip included transportation by bus from Hamilton to the site location. 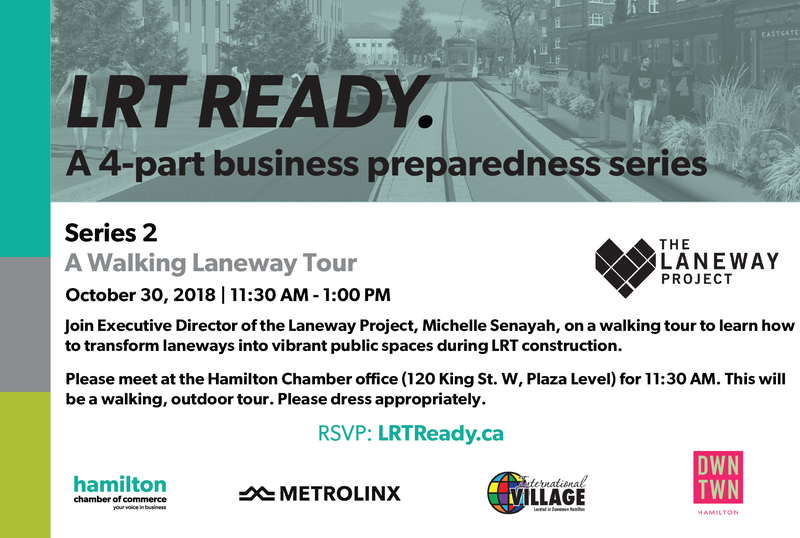 Description: Michelle Senayah, Director of the Laneway Project, led Hamilton businesses on a walking tour to learn how to transform laneways into vibrant public spaces during LRT construction. 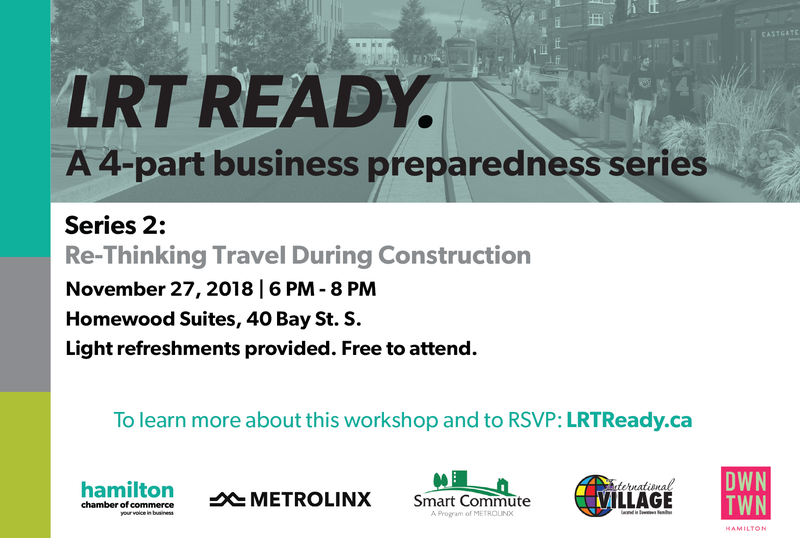 Description: Smart Commute Hamilton hosted a panel that discussed ways to re-think travel during LRT construction. Event participants also took part in an interactive workshop to address any challenges they foresee happening with construction. Description: Participants in this session took a field trip to the Kitchener-Waterloo LRT project that has been successfully implemented. The field trip included transportation by bus from Hamilton to the site location. This session focused on best practices employed by local businesses, BIAs and the community during the construction phase in that community. Description: This session explored strategies and tools to assist in developing comprehensive customer lists and leveraging customer relationship management (CRM) software systems to build and maintain engagement with existing and new customers during the construction phase. Description: This session covers the benefits of social media, provides hands-on experience using various online platforms, and introduces attendees to the tools and strategies to build an effective online retail presence. A focus on search engine optimization allows businesses to understand how potential customers discover businesses online. A special emphasis is placed on the opportunities that exist through online retailing through effective web design to develop and enhance a new customer marketplace.